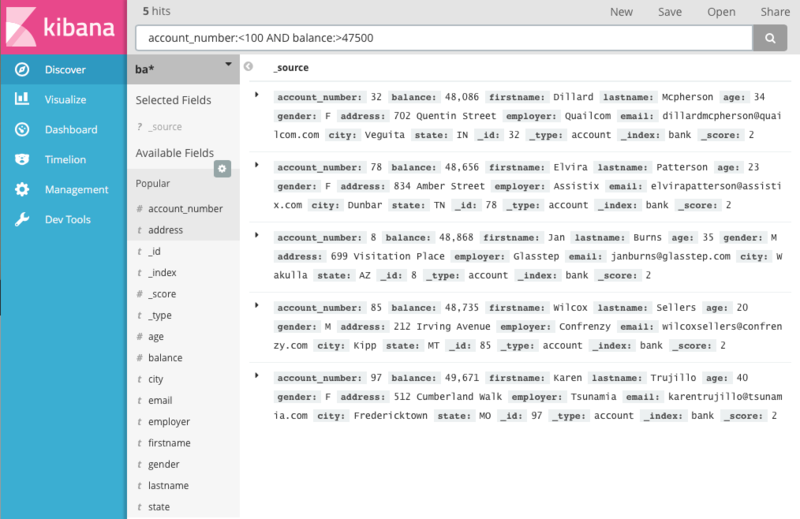 In the query bar, you can enter an Elasticsearch query to search your data. You can explore the results in Discover and create visualizations of saved searches in Visualize. The current index pattern is displayed beneath the query bar. The index pattern determines which indices are searched when you submit a query. To search a different set of indices, select different pattern from the drop down menu. 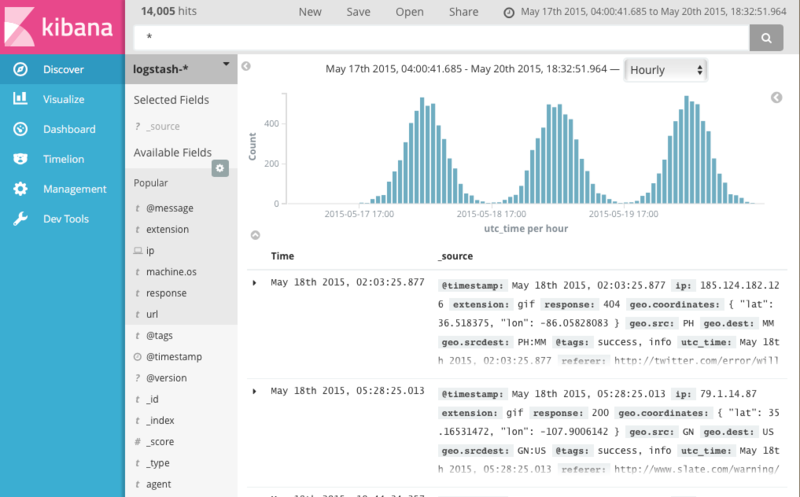 To add an index pattern, go to Management/Kibana/Index Patterns and click Add New. You can construct searches by using the field names and the values you’re interested in. With numeric fields you can use comparison operators such as greater than (>), less than (<), or equals (=). You can link elements with the logical operators AND, OR, and NOT, all in uppercase. This query returns all account numbers between zero and 99 with balances in excess of 47,500. When searching the sample bank data, it returns 5 results: Account numbers 8, 32, 78, 85, and 97.